to the top of the bags with tie downs (only for big trips). I'm posting today because I'm worried about the bags' fitment with a passenger. If it helps, I scoured the forums and found a post about some Nelson Rigg bags here. They look like a good fit, but I'm curious if anyone has any insight to whether a pillion will also fit?
. But if you have any other suggestions, I'm open to any and all advice. Bonus: here is a horrible setup I used last weekend (I don't think I can have kids anymore). ... 24 liters instead of 28, but the price is half. The passenger seat on these bikes is marginal at best. Coupling the thin padding with straps needed to support saddlebags and the attendant loss of legroom is likely to lead to a very uncomfortable experience. 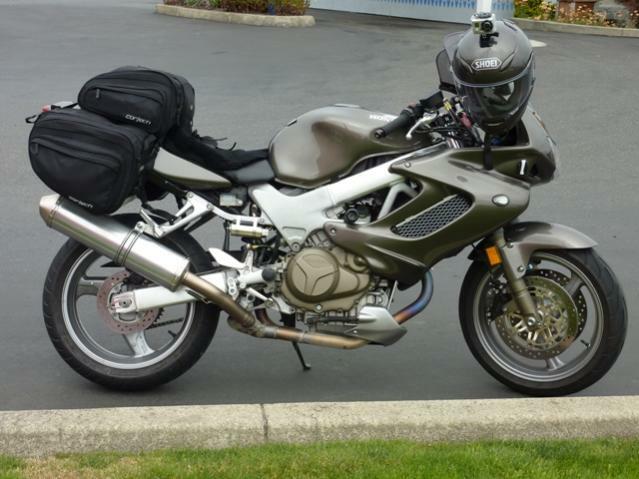 Maybe it can be done but I think that with a VTR you can carry a passenger or you can have saddlebags but not both. The other issue is the strength of the rear cowl. It's not designed to be a weight bearing part. 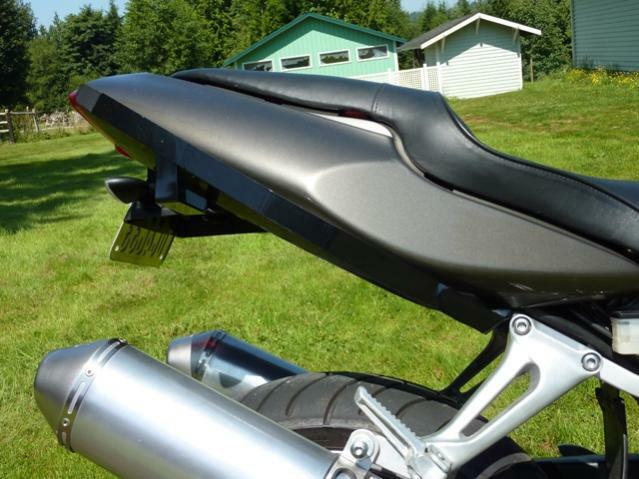 The side loads caused by saddlebags can lead to cracking near the plastic rivet on the underside of the cowl. Please let us know if you come up with a solution. and they are great. They are more or less the same as the Nelson Riggs but a little less expensive. They also have their brand (BiLT) on sale for $50 that is a decent bag but on the small side for my taste. Last edited by insulinboy; 09-05-2013 at 02:06 PM. I had those from Cycle Gear... got them for $120 with a tank bag and a tail pack. I had them until the first time I used them, and didn't lash them on properly for the return home ride. They fell off the bike somewhere. Now someone else has them. You maybe?? I have run this style of bag for three decades. If you buy another set just simply(well not so simple) pop the seat and put the straps under the seat. It eliminates lashing and tying and allows you to position the bags just where you want them with out slippage and removal is as easy as popping the seat again. I bought a cheap pair of sheep skin seat belt covers at wally world covered the straps where they touched the body work. I used the leftover sheep skin and hot glued it to the bags where they rubbed. As a bonus no one can untie and walk off with your stuff. If the bags are double zippered a small lock will seal the deal and keep honest people out a thief is going to get what they want anyway. This setup has served me for at least 75kmi no scratches no loss. Also for day trip most tank bag magnets will fold around passenger seat it holds just fine but as a precaution I use the fold out hooks and a bungee. 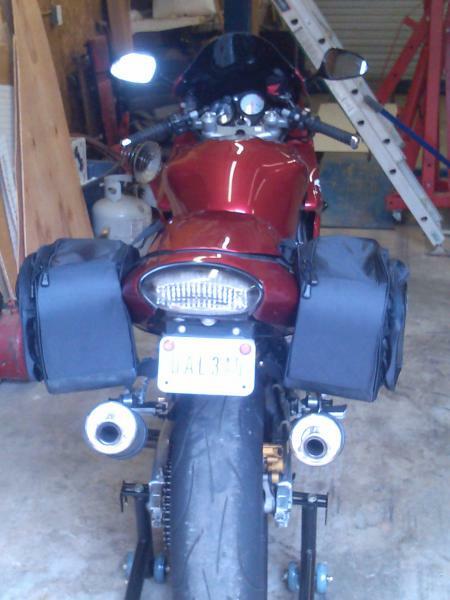 Hi All, I'm looking at purchasing some soft saddlebags (and more) for two-up camping. 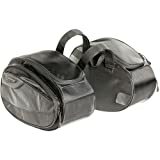 I've done some research and I'm interested in a set of Nelson Rigg Cl 855 bags. Call me crazy, but I would then supplement the storage by affixing these waterproof storage bags to the top of the bags with tie downs (only for big trips). Obviously price is a consideration, as I looked at this alternative from Amazon. But if you have any other suggestions, I'm open to any and all advice. Bonus: here is a horrible setup I used last weekend (I don't think I can have kids anymore). Wow it is good to see another clean black 99!! The scenery the bike just awesome. set, I'm far to lazy to make something like that. Appreciate the interest, however, full time job, too many hobbies, etc. etc. Too much on the plate to commit currently if you know what I mean. If so, how have they worked out? I was being mildly sarcastic with a hint of serious. 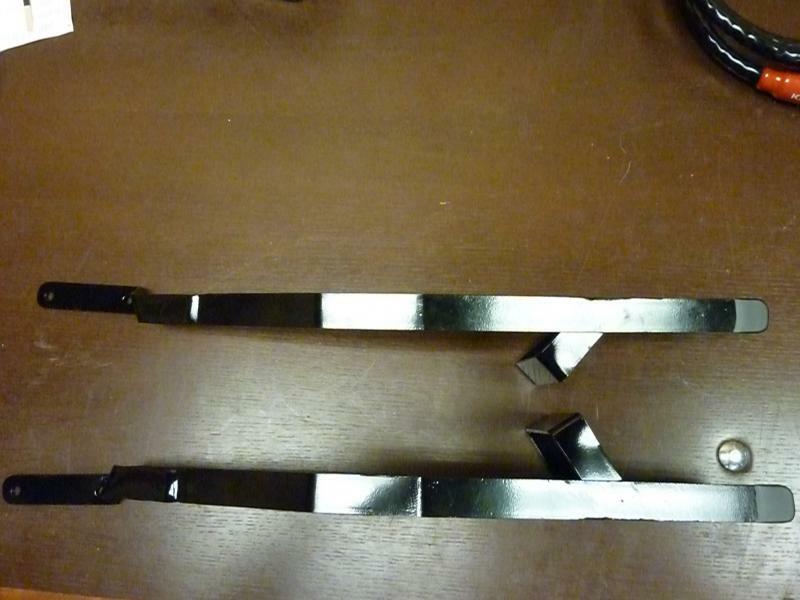 I'd like to make a bracket like that for mine and am impressed with yours, but I do know that I am way to lazy to take the time to do something like that. I know i could if I took the time, I just don't see me taking the time. I have a Givi top case, but always need more room. I had bought some Nelson Rigg soft luggage, but the capacity wasn't the best & a hassle to install rain covers. I sold em. Cheap, waterproof, add bungees & all good. Last edited by nnjhawk02; 09-12-2013 at 12:25 PM. Nice! When I was shoppin for saddlebags I didn't evne know there was that many options. 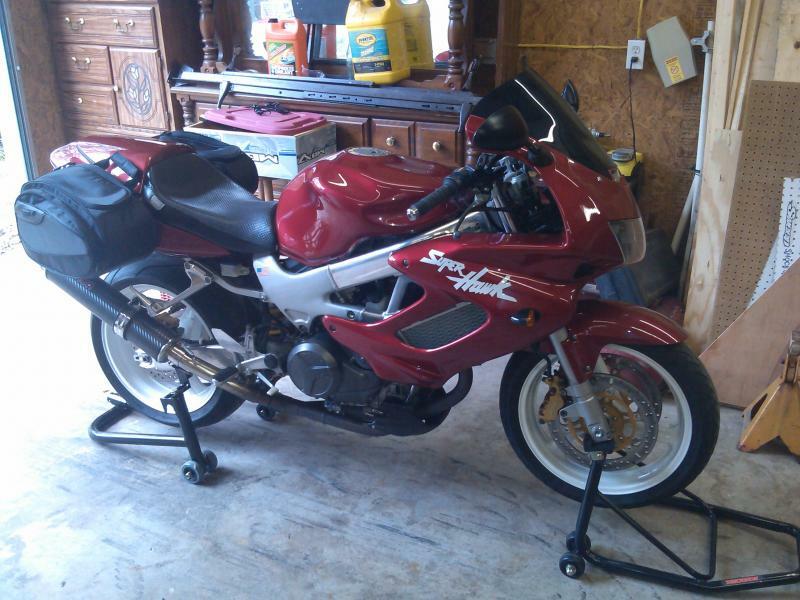 Especially since we have sport bikes and not a harley. Last edited by randysway223; 09-13-2013 at 01:09 PM. Those are on backwards, pointy section rearward to clear upswept exhaust and zippers zip towards the rear.